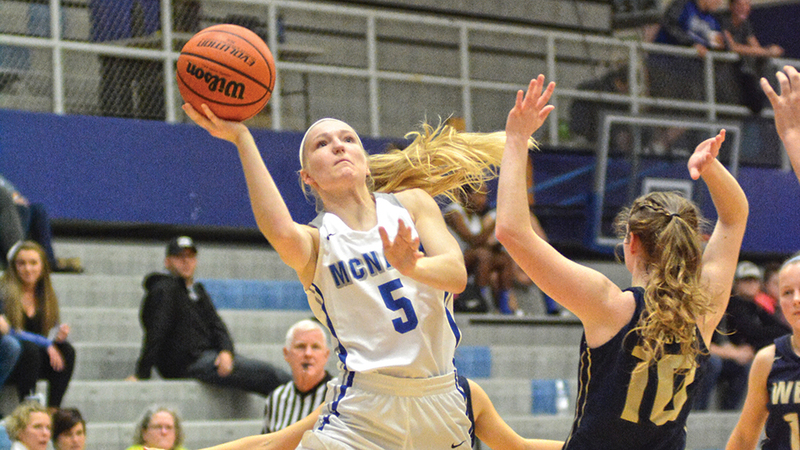 McNary senior Paige Downer had decided not to play basketball at the next level when she got a text from PJ Martineau, an assistant coach at Clackamas Community College. With an invitation to tour the campus, Downer thought she didn’t have anything to lose. After a short workout, Downer decided Clackamas was exactly where she wanted to spend the next two years. Downer had only been to Clackamas once before when her AAU team, Oregon Elite, played a tournament there. She had planned to go to Chemeketa before she got the text. Downer, who averaged 7.5 points, 2.8 rebounds, 2.5 assists and 1.5 steals per game during her senior season, was voted to the All-Greater Valley Conference Second Team. The Cougars play in the Northwest Athletic Conference and finished 21-8 last season. Downer hasn’t decided on a major but she is interested in youth juvenile counseling.